Russia loses bobsleigh and skeleton world championships – but is it legal? Russian presidential press secretary Dmitry Peskov has said that the decision was politicized. 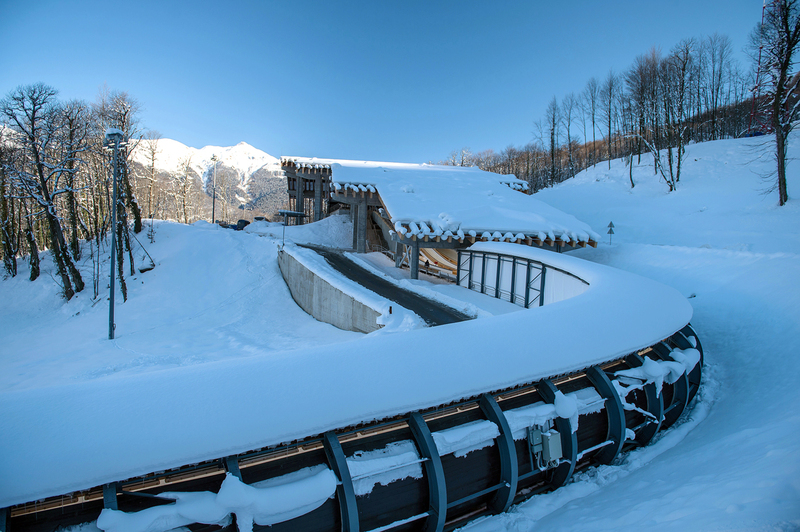 Photo: "Sanki" bobsleigh complex in the Adler district of Sochi. Is it possible to cancel the world championships two months before they start? Will Russia be compensated? Is there sense in taking the matter to court? RBTH explains the situation around the important tournament that slipped away in the wake of the publication of the second part of the McLaren report. Almost a week has now passed since the publication of Richard McLaren's new doping revelations on Dec. 9 and Russia has encountered its first real consequences. On Dec. 13 the International Bobsleigh and Skeleton Federation (IBSF) canceled the world championships supposed to take place in Sochi in February 2017. Russian presidential press secretary Dmitry Peskov has said that the decision was politicized. But was it legal and will Russia be able to challenge the cancelation of this large tournament in court, a tournament that was supposed to start in two months? Was it legal to deprive Russian of the bobsleigh and skeleton world championships? Yes. The IBSF has that right since, like other federations, it is an autonomous and independent institute. Sports federations can, for example, change competition rules for their sport, disqualify and rehabilitate athletes, as well as confirm and change the locations where the championships are held. Earlier the IBSF approved Sochi as the location of the world championships. Why is it being canceled two months beforehand? Sochi received the right to hold the world championships during the IBSF congress in Gdynia, Poland in June 2013. Back then the resort city, which was preparing to host the first winter Olympics in Russian history, came out on top in competition with several top bobsleigh locations: Whistler, Canada; Lake Placid, U.S. and Altenberg, Germany. How well do you know Russian figure skaters? The delegates at the congress were obviously impressed by the recently constructed bobsleigh run called Sanki, which leading athletes had tested in November 2012. In 2013 the Olympic track hosted the first World Cup stage and in Poland it was awarded the world championships. No one is complaining about the track today – the cancelation of the championships was a result of other circumstances. "The current climate would make it nearly impossible to appreciate the efforts of the Organizing Committee... or the quality of the Sanki Sliding Center." Behind this ambiguous phrase posted on IBSF's official site it is not hard to detect the organization's reaction to the McLaren report, whose second part was presented on Dec. 9 in London. After the Canadian sports lawyer heading the independent investigation again accused Russia of creating a state-sponsored doping system, two of the world's leading skeleton racers – Sochi Olympic champion Elizabeth Yarnold from the UK and current world champion Martin Dukurs from Latvia – called on the world championships in Sochi to be boycotted. After Dukurs the whole Latvian team, one of the strongest bobsleigh-skeleton forces in the world, refused to go to Sochi. Later the South Korean national team also joined the boycott. Where will the championships take place now? Officially, the new location still has not been selected. However, it appears that the championships will take place in Konigssee, Germany. General Secretary of the German Bobsleigh and Luge Federation Thomas Schwab, who had proposed to relocate the tournament to Germany before IBSF's official release, said that IBSF is considering this possibility. Will Russian athletes participate in the competition? For now there has been no talk of the disqualification of the Russian national team or its individual athletes. At the same time, such a scenario cannot be excluded since along with his report Richard McLaren sent information about the fake samples provided by some Russian athletes to the sports federations. The issue of banning the athletes because of doping falls within the competence of the federations. Will Russia be compensated for the cancelation of the championships? From the viewpoint of sports law, the international federation bears no obligations before the Russian side because the right to cancel the athletic competition at any time is written into its charter, explains sports lawyer Valery Fedoreyev. In his words, compensation is possible only in the event that advertising and sponsorship contracts signed for the championships are dissolved. However, this is determined through civil proceedings and has no relation to sport. Can Russia challenge the federation's decision in court? Russia can file a lawsuit at the Court of Arbitration for Sport (CAS), but its chances of winning are minimal, believes Fedoreyev. "The CAS does not analyze the reasons for the decision. It just sees whether procedural norms have been violated or not. The federation acts in accordance with its charter and the CAS does not have any reasons to change the federation's decision."